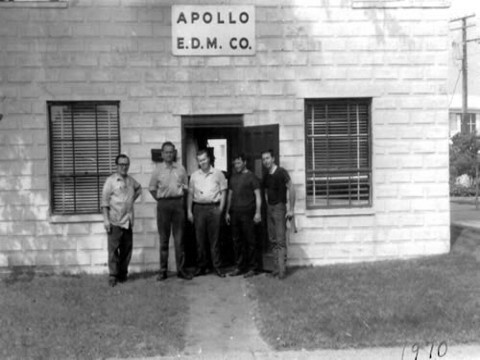 Apollo was founded in 1969 by Bill Kain, Larry Kelly, and Tom Becroft. Doubling in size, machinery, and employees within the first ten years, after buying out the other partners, Bill continued to grow the company for the next fifteen years. In 2002, Bill's son Chris, who worked for the company since the young age of 16, bought the company from his father. He has since strived to continue Apollo's reputation of innovation and success. In 2016, Apollo celebrated the completion of their 100,000th job. In 2019, Apollo will celebrate 50 years of success which is a testimony to their continued quality and innovation in the field. Historically, Apollo used custom built in-house machines. However, with substantial growth in the industry, the company has since integrated advanced and reliable Mitsubishi machines. Consistent equipment has allowed us to keep our maintenance in house. Custom built machines and CNC tapping electrodes are still an integral part of Apollo's ability to take on unique and special jobs of irregular size and shape. Apollo's ability to explore the impossible and bring a vision to life continues to set them above the rest. 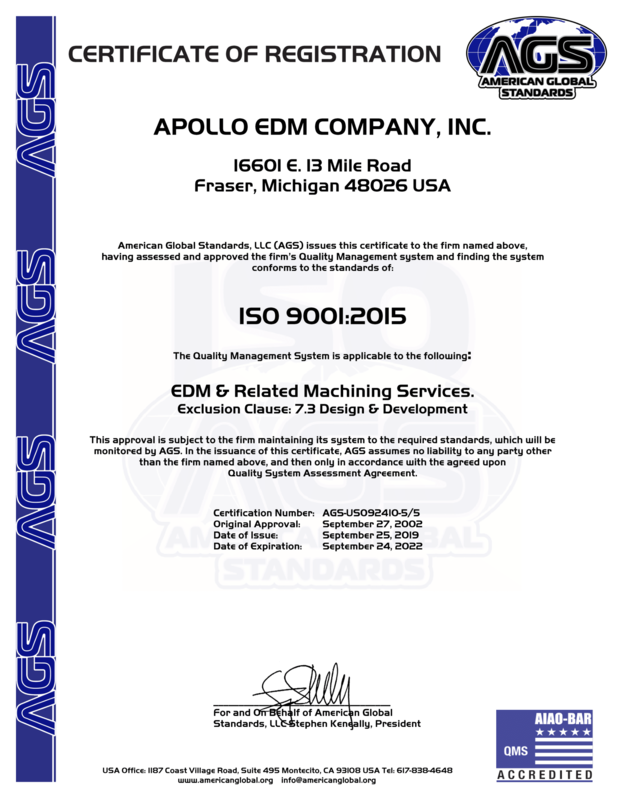 Apollo EDM services a very broad market that spans a large array of clients and industries. 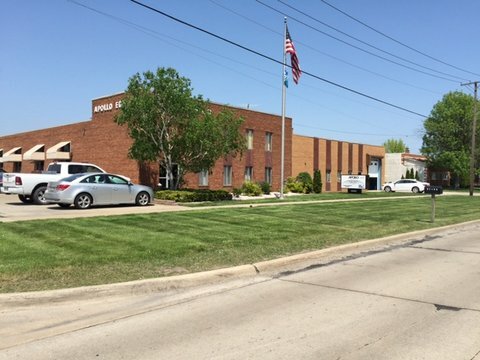 From aerospace and agricultural to automotive and military, APollo has the equipment, experience, and knowledge to offer you a quality part with the service you deserve. Communicate its quality objectives and performance against these objectives throughout the Company and to interested parties. Take due care to ensure that activities are safe for employees, associates, subcontractors’ and others who come into contact with our workplace.